Christmas Seasons are the joyous time of the year. Young and old are celebrating Christmas and they have so many ways of relating to them the true value of Christmas. The Church of Jesus Christ of Latter-day Saints has its own way of doing it by letting their "light" shine by serving its members in various ways. 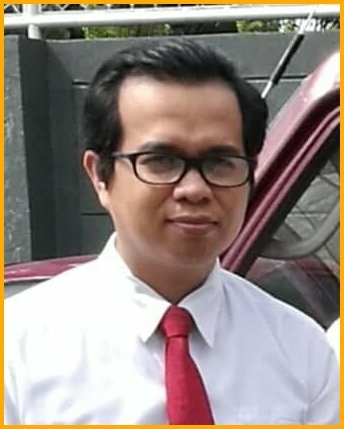 Our youngest son, Gilbor Junior is one of the speakers in our combined Sacrament meeting of the La Carlota First and La Carlota 2nd branches. Christmas which has so many ways of sharing it, he opened his message. "Looking at the mirror, I see light, a reflection of myself," he told. This means that he is aware that he does exist. As a member of The Church of Jesus Christ of Latter-day Saints, he is reminded of the earthly ministry of Jesus Christ. Jesus' examples serve as the light of the world. Thus this 2017, the Church as adapted plan of activities for #LightTheWorld", a calendar of 25 ways for 25 days. "Each Christmas, we celebrate the life of Jesus Christ, the Light of the World. By following His teachings, we let His light shine—in our lives and in the lives of others. This Christmas season, use this calendar for inspiration as you plan activities to help #LightTheWorld by serving those in need," said the introduction of this calendar of activities for the members to do. One of those plan in the said calendar of activities for 25 day is "“Rejoice, and be exceeding glad.” (Matthew 5:12). It's Christmas seasons. It's time to share what you have in abundance or the blessings received so that everyone would be happy. In doing so, he recalled that his 4-year old smart niece, Inday Sophie was "Paroling" (caroling) by herself for she noticed kids older than her was caroling at the neighborhood. He interested to know how Inday Sophie sings. So he called Inday Sophie who sang him a medley of Jingle Bells, We Wish You a Merry Christmas, Pasko na Naman. After the paroling, he gave her a penny. The kid was very happy. Then she sang "Thank you. Ang babait ninyo". Being the light of the world.Jesus Christ's teachings set us on how to light world by serving our brothers and sisters who are in need, who have least in life. We let them feel how Christmas is joyous for the gift of love we have shared to them in various forms like giving them foods which they may eat together with family members, like taking time out to talk to the lonely or the depressed, or sharing a shelter or a home to the homeless. 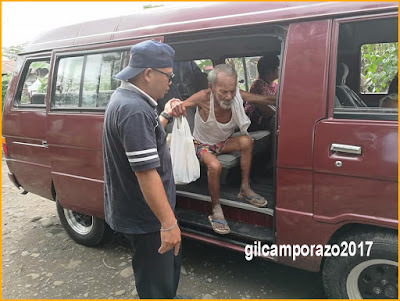 “Thou shalt love thy neighbour as thyself.” (Matthew 22:39) We were not aware that we had done this activity when we happened to give an elderly who couldn't walk well because of his rheumatism a lift and brought him home through our family service van. This had happened when we had an outside lunch at our favorite chicken haus and saw this old man eating alone in the corner of the said eatery. After eating he slowly stood up and struggled to leave the eatery. I approached him and asked him where he is going. He told me that he is going home. Thus, we brought him home where it is located at the outskirt of the our small city in a certain government employees relocation site, Phase II. He's home safe and we're happy for him. On Christmas Day, December 25, the members of the Church are inspired by Matthew 5:16, "Let your light so shine before men, that they may see your good works, and glorify your Father which is in heaven.” The suggested activity is to "be consistent in following Jesus Christ." And it is not difficult to do it.